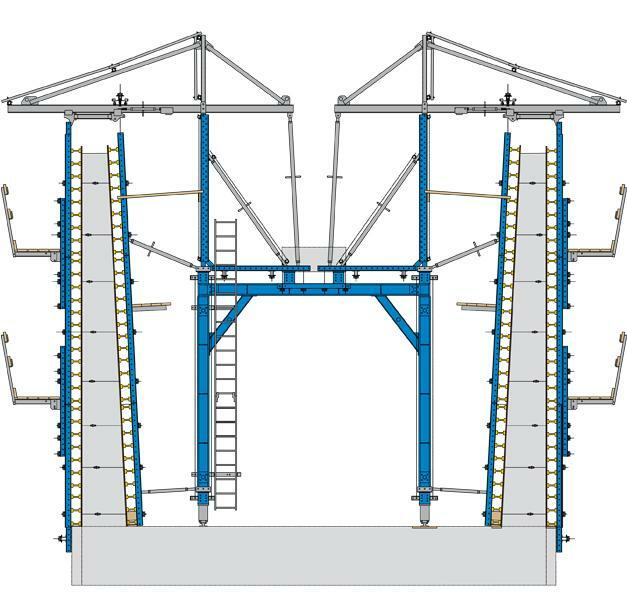 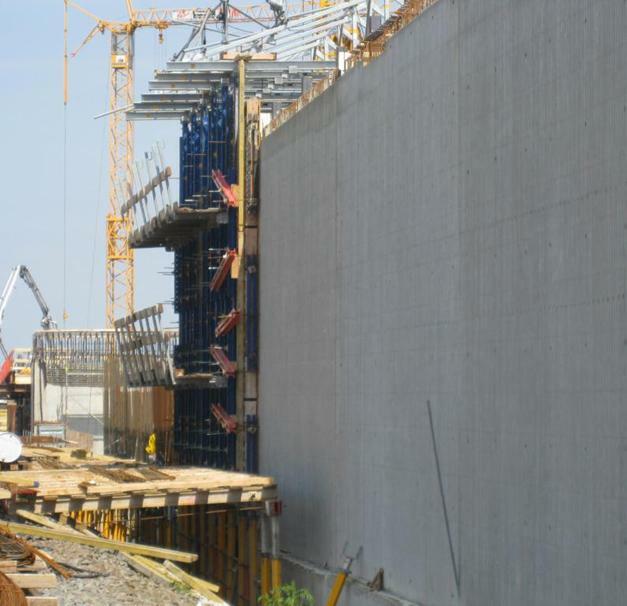 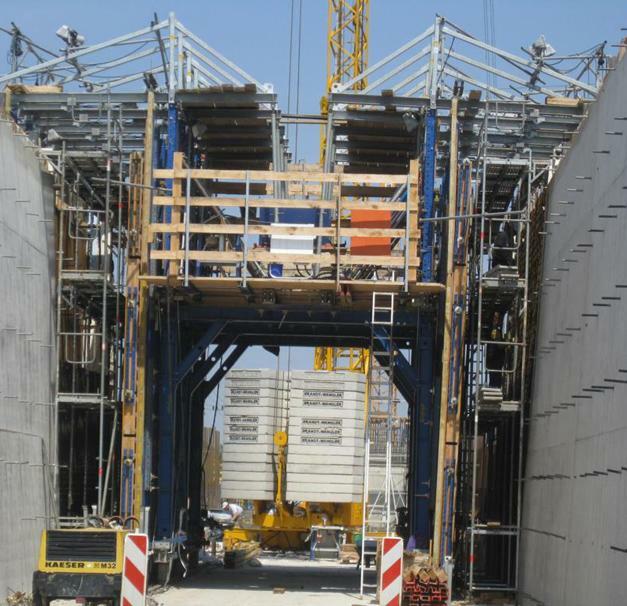 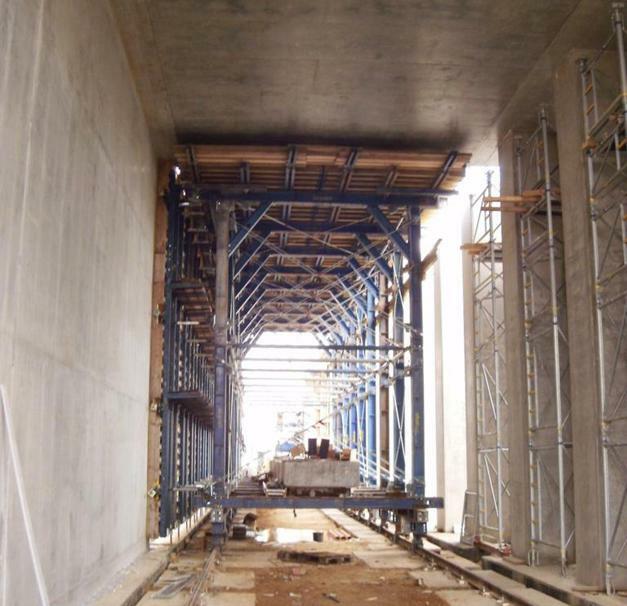 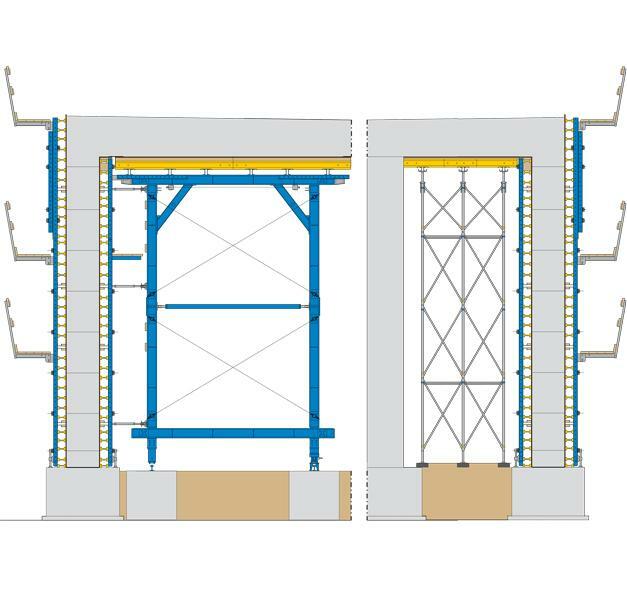 Doka planned the formwork for the 3 parts of the flying junction structure for Halle's southern high-speed rail link: For 2 parallel retaining walls, a tunnel-wall formwork traveller with double-jibs from the Forming wagon T; for the cantilever slabs and parapets of the walls, a composite forming carriage and a hydraulically repositionable tunnel formwork traveller for the ramp structure with its X-shaped layout. 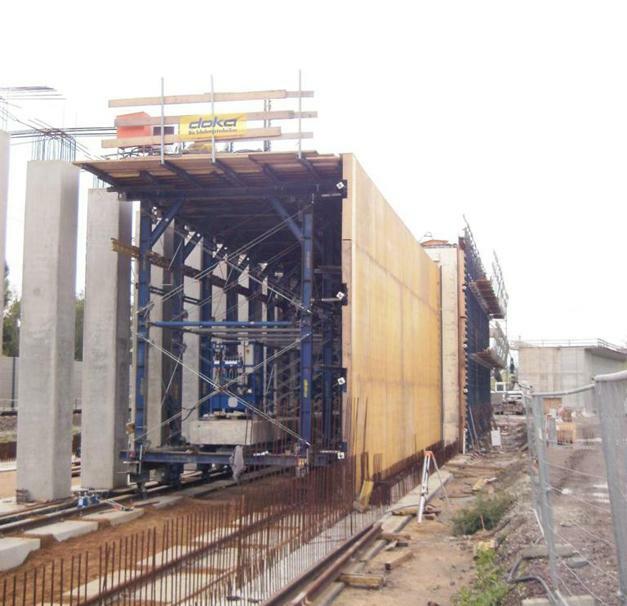 Thank you for your interest - Southern high-speed rail (ICE) link, Halle, Germany. 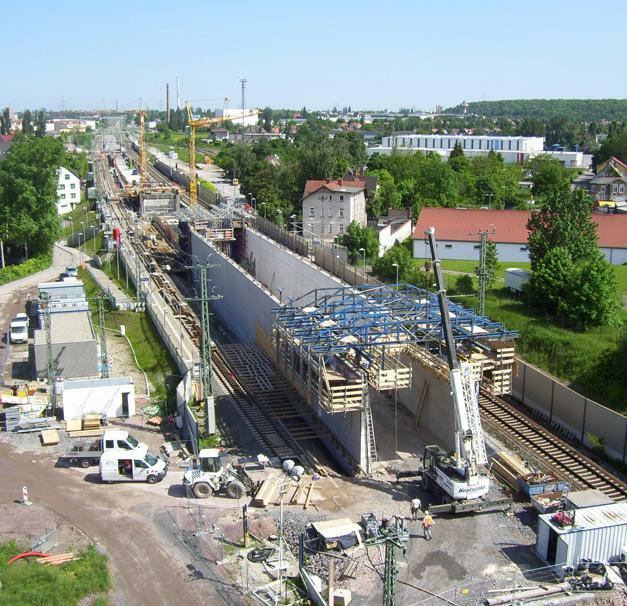 Thank you very much for your interest - Southern high-speed rail (ICE) link, Halle, Germany.